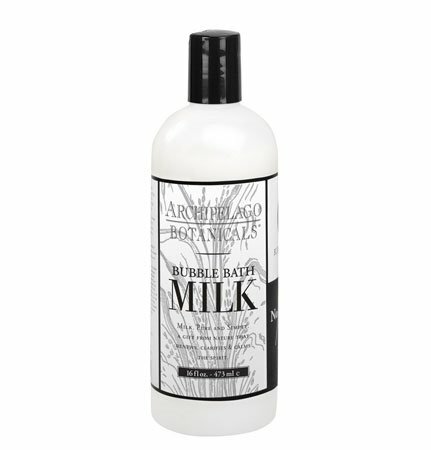 Archipelago Milk Collection Milk Bubble Bath soothes and restores skin with a blend of dried milk solids and natural protein. Relax in a luxurious bubble bath and have a little me time while pampering your skin. Paraben and sulfate free. Made in USA. 16 fl oz., 473ml.